Looking for good food storage recipes? Give some of our tested, tried, and true recipes a try as you work on learning to use and rotate your Food Storage. Want more recipes as well as sales notices and a crash course on how to use freeze-dried foods? 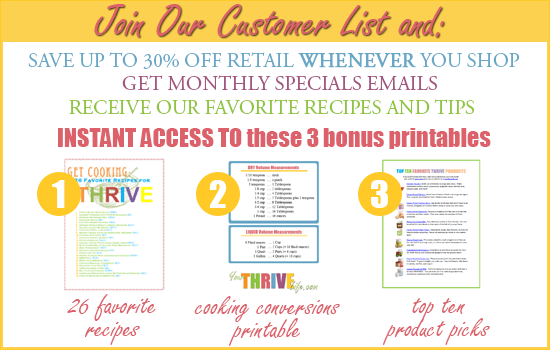 Join our Thrive newsletter list and we will send you tons of great information, printables, recipes, and more!